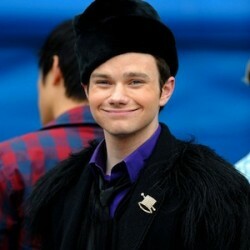 You should read this: Why is Kurt Hummel dressed like a flying monkey? Racheline Maltese (who writes about Glee like nobody else writes about Glee) has really hit the nail on the head with her analysis of Kurt’s journey and how that explains the fur epaulets he wears in the season finale. Go on, you have to read it.